The Volkswagen I.D. will have more than 400 kilometres of range. PARIS -- The billboard-sized electric sign featured a big number -- both in the size of the lettering and in its import. It touted the Renault Zoe electric vehicle, saying "Renault ZOE 400 km. 100% Electric. Now." Nevertheless, it represented a striking trend at the auto show here: Call it the second wave of electric vehicles. 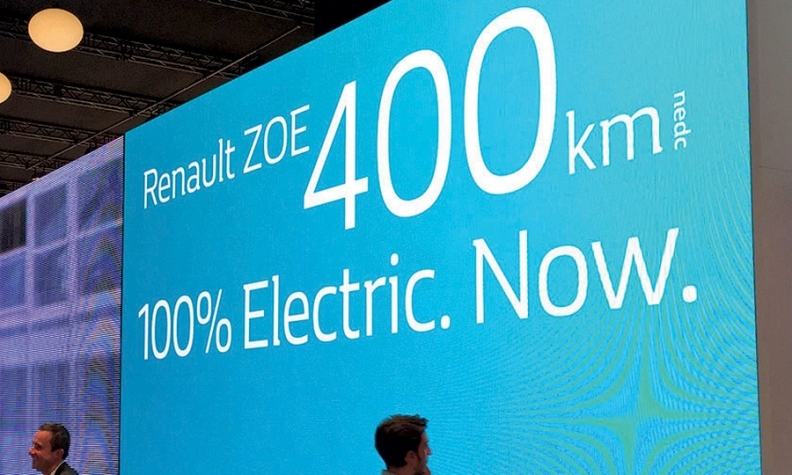 Renault's display in Paris emphasized the long range of its electric Zoe. When the first wave of EVs hit the market a few years ago, automakers quickly learned that the pool of green consumers who would tolerate limited range and high prices was extremely limited. Now they're bringing out a batch of EVs with more consumer-friendly ranges and prices. Volkswagen, for instance, rolled out its I.D. concept car, an EV that brand chairman Herbert Diess said will sell for about the price of a Golf diesel -- think mid-$20,000s U.S. -- and have more than 400 km of range. 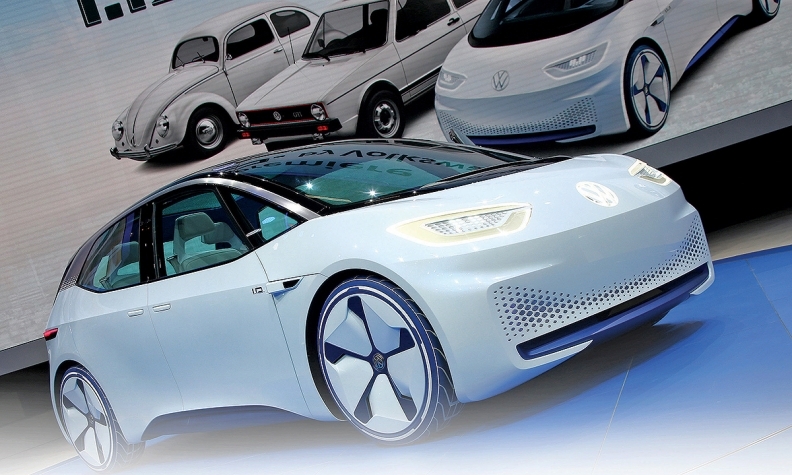 VW plans to have 30 EVs in its lineup by 2025, he said. Diess said VW must take aggressive steps to fend off competitors like Tesla, whose Model 3 is projected at a $35,000 U.S. base price and 345-kilometre range, and potentially Google and Apple. "You have to be more radical if you want to compete with those," Diess said. "As long as you carry along the combustion engine, I think you don't have a chance to compete with the new entries." It's not only Silicon Valley spurring auto-makers. Ian Robertson, BMW board member for sales and marketing, said that global emissions regulations are tightening. "We're all facing a legislative framework around the world which is going in one direction and almost converging on the same spot," Robertson said. "Within the mix of vehicles for the foreseeable future, you will need to have a good proportion of zero-emission vehicles." The Opel Ampera-e, shwon, a sibling to the Chevrolet Bolt, is a step toward carbon-neutral mobility, said GM Europe's Karl-Thomas Neumann. Likewise, Karl-Thomas Neumann, president of GM Europe, said that "I think that it is very clear that individual mobility is moving toward carbon-neutral." 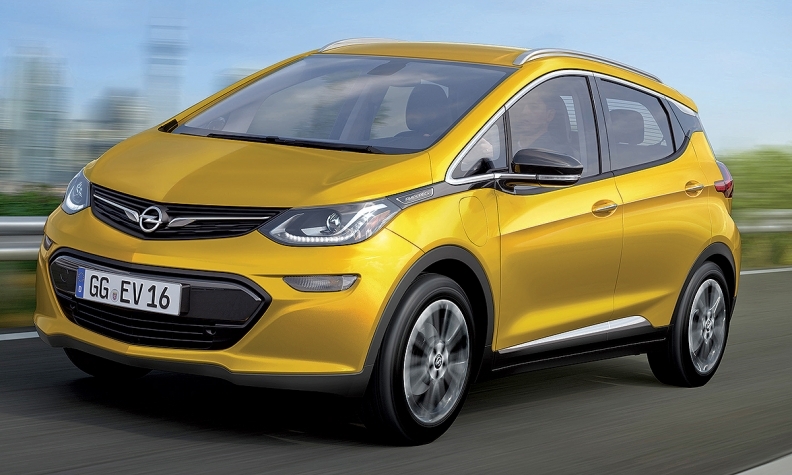 He said that the Opel Ampera-e, a sibling to the Chevrolet Bolt, is a first step in that direction. Mercedes-Benz's EQ concept heralded the debut of an ambitious plan to introduce at least 10 battery-powered cars in the coming years, bundled under the new EQ brand. "We're now flipping the switch," Daimler CEO Dieter Zetsche said. "We're ready for the launch of an electric product offensive that will cover all vehicle segments, from the compact to the luxury class." Automakers still differ on the best way to get free from CO2 emissions. A notable exception to the battery-range bragging was Toyota, which favors electric drive powered by hydrogen fuel cells. Still, Toyota Executive Vice President Didier Leroy said: "If there is some need to move in our lineup to a pure [battery] electric car, EV car, we will do it. And we are ready for that. "But today we are really convinced that the fuel cell is much more promising."